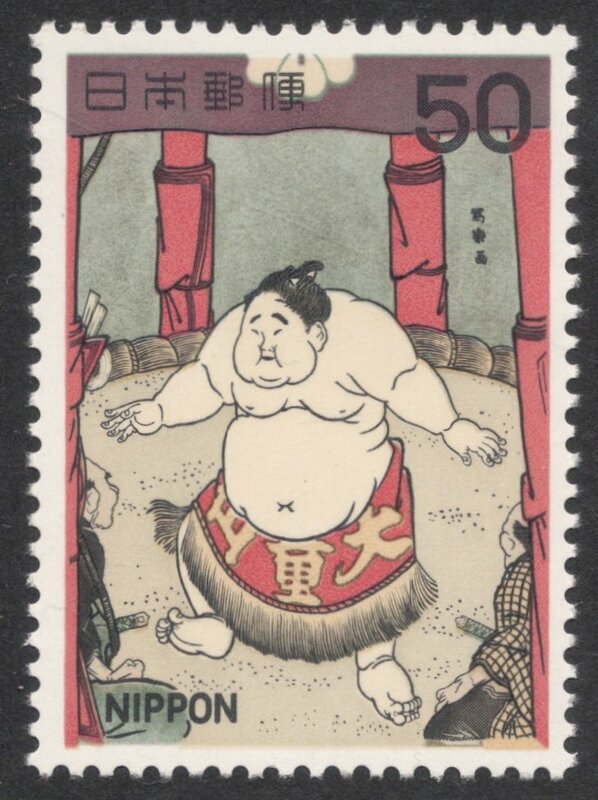 Has sumo wrestling ever been an Olympic sport? I don't suppose so, but seeing the level of unusual and visual impact of the sport, it would look good in any games or at least in an opening ceremony! After all, Japan’s national sport is as ceremonial as any other, and with roots going further back than most other sports, though they may not stretch as far back as the ancient Olympic Games, they more than deserve another moment in the spotlight. 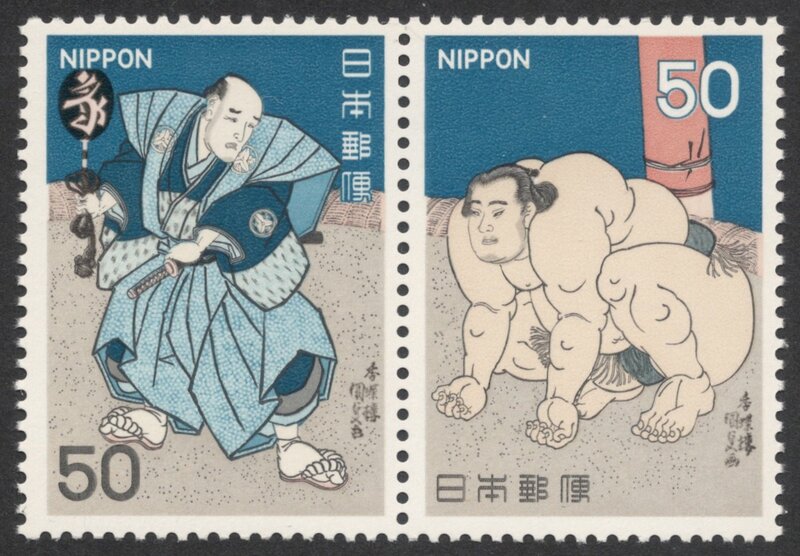 That’s what the Japanese postal authorities must have thought as well in 1978, when they embarked on a five set series depicting original Japanese art, such as drawings and woodblock prints, of sumo wrestlers. 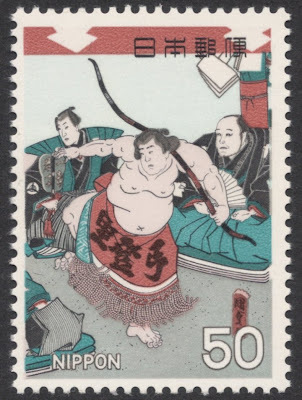 Sumo wrestling has been around for centuries, with first mentions of the sport dating back to the 8th century, when the sport was a religious pre-harvest event. It grew and grew until it became the huge thing which it still is today. 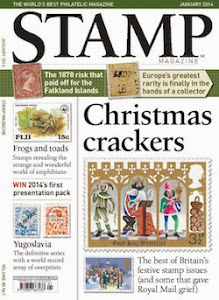 It is quite a ceremonial sport and this is reflected in the subjects chosen for the stamps. The ceremonies and traditions even start before the matches themselves start! Of old, the wrestlers lived on one side of the river, with the Eko Temple compound where the matches were held situated on the other side of the river. Crossing the river, over the Ryogoku Bridge, became a traditional event which is depicted on these se-tenant stamps. Once in the compound, the whole event gets on the way with the ceremonial entering of the ring in which the match will take place. 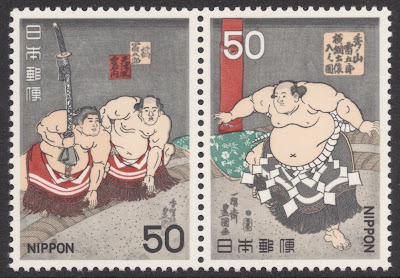 This is depicted on these se-tenant stamps, with the wrestler on the right being the grand champion Raigoro Hidenoyama. 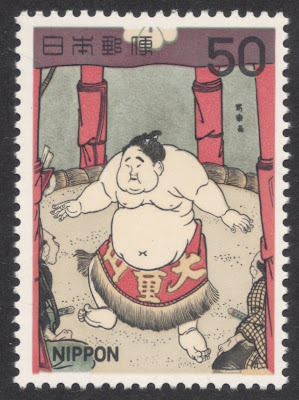 There are various divisions within sumo wrestling, with the top layer consisting of wrestlers being designated as either ‘east’ or ‘west’, ‘east’ being a notch higher than ‘west’. 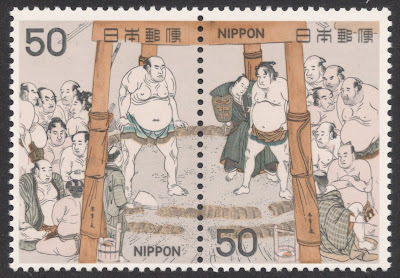 On this se-tenant pair we see the special ring-entering ceremony performed by an east and west wrestler. The late 18th century is usually seen as the Golden Age of sumo wrestling. 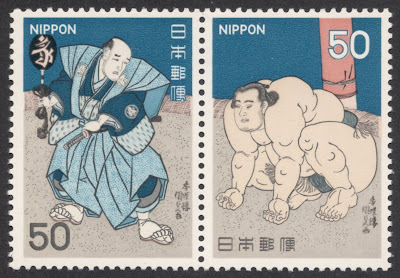 Famous wrestlers from that time are seen on the following stamp. They are Tameemon Raiden on the left and Shimanosuke Jinmaku on the right. In the background stands referee Shonosuke Kimura. Although we usually think of big bulky men playing the sport, it is played by kids as well. 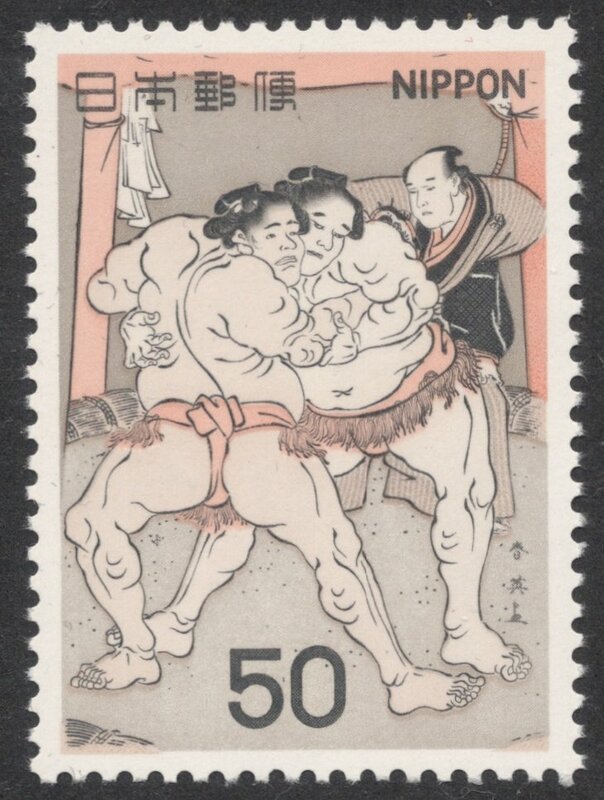 The following stamp depicts a painting of the Kaido wrestler Daidozan Bungoro, who was only seven years old! 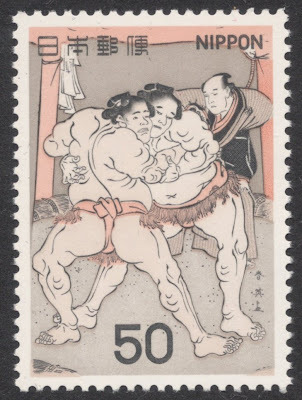 Kaido wrestlers were often young boys with exceptionally large bodies. Daidozan Bungoro weighed 70 kilos when he was 7! It’s not just the wrestlers that have to grapple with ceremonial duties, the referee as well has his own part to play and look to sport, although his attire has been watered down through the ages. 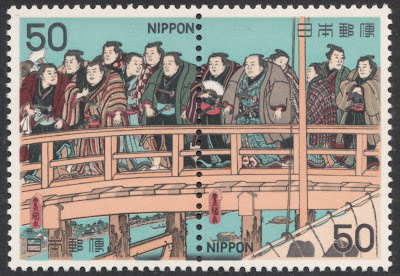 On this stamp we see him in traditional warrior dress, complete with sword. 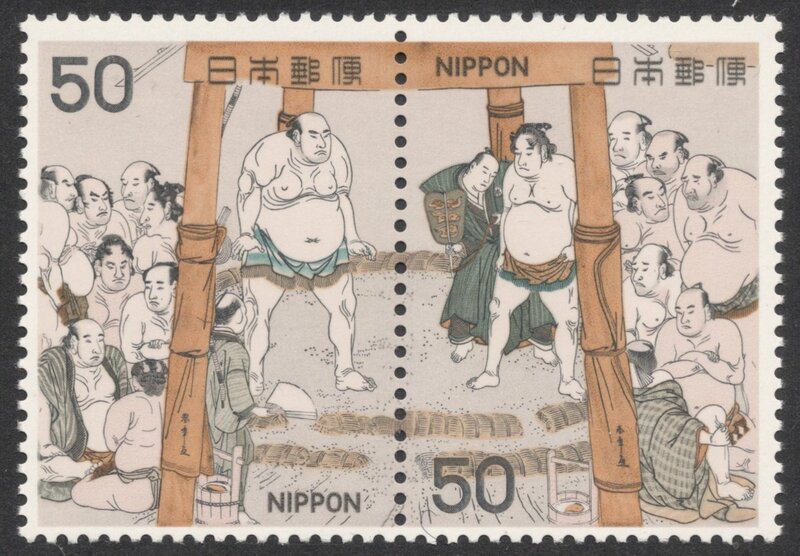 By the way, the sumo wrestler on the right stamp is Midorinosuke Onomatsu, who became a grand champion in 1828. In 1572, the winner of a tournament was presented with a bow and he allegedly danced with joy, which led to the ceremony that each tournament winner has to perform this bow dance. Nowadays, however, special dancing wrestlers perform this ceremony, rather than the winner himself. Now wouldn’t all this make the most perfect Olympic ceremony?